Hey everyone! 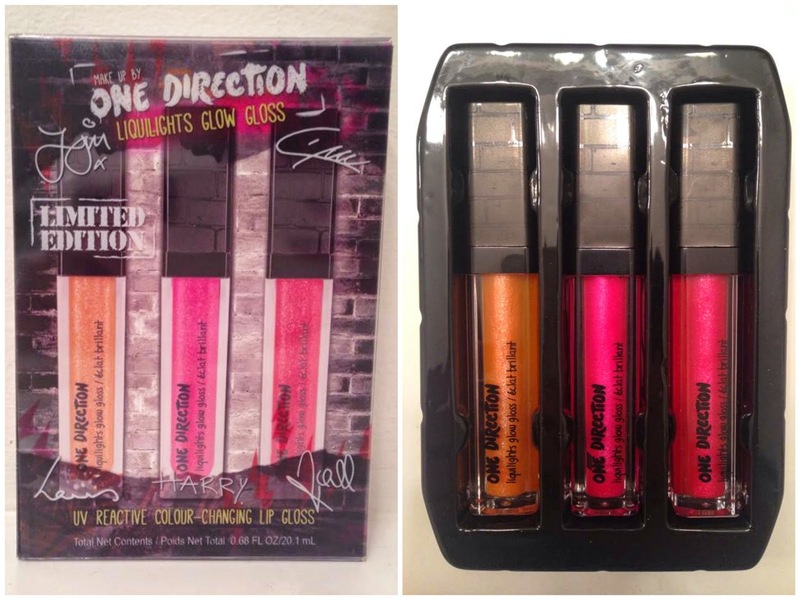 Okay, so as you can see from the title of this post I'm reviewing some of the One Direction makeup line. Call me crazy, but I actually really love their music! Their songs are so catchy and fun to sing along to in the car. When Brandbacker offered me the opportunity to review some of these makeup products I figured why not? Plus I think these would make perfect gifts for the upcoming holidays. I received three sets to review, so let's start with the Electro Glam Mascara. 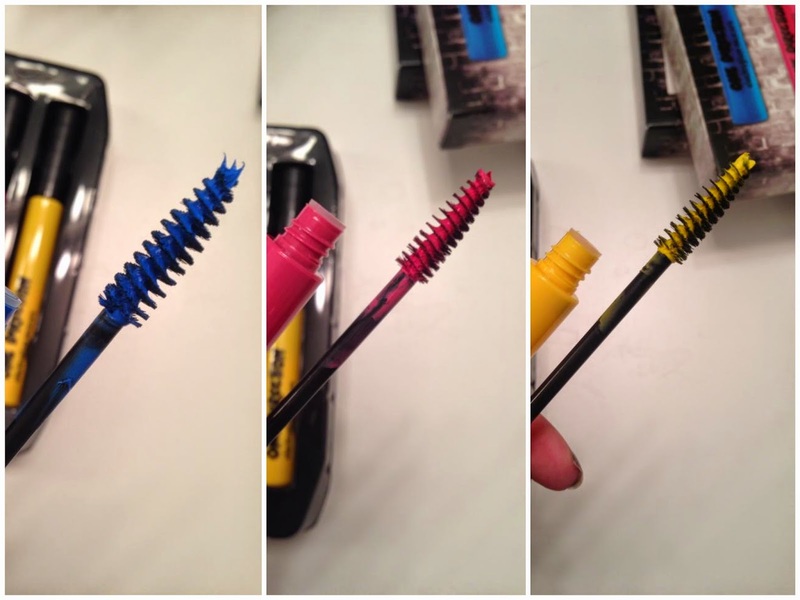 These are super bold colored mascaras for your lashes AND hair. Say whaaaat?! Yes, apparently you can put these in your hair (I have yet to do so). For your lashes, you can add just a pop of color to the tips or go for a bold look by coating your entire lashes. Go big or go home, right? For your hair just swipe the mascara wand through small sections of hair and you're good to go. Next up are the Liqulights Glow Glosses. These sparkle beautifully during the day and illuminate under UV black light in the dark. Pretty cool. 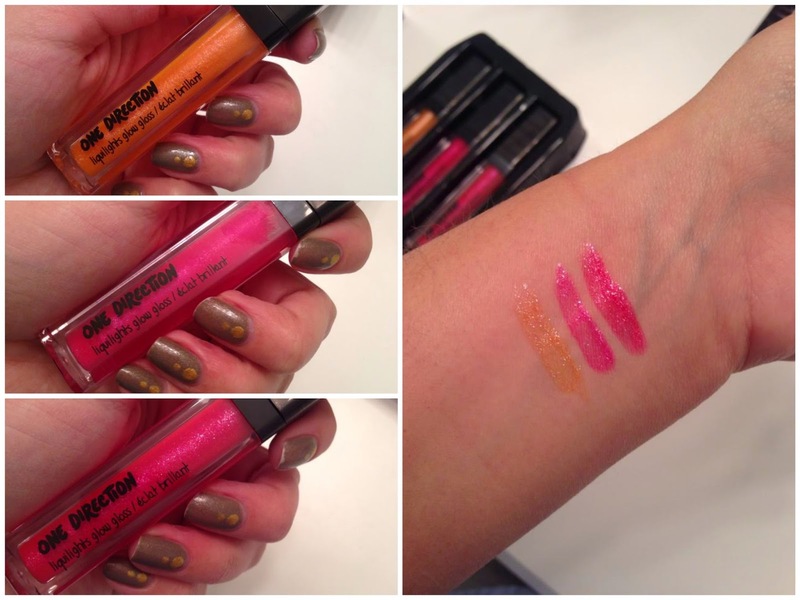 These glosses are enriched with natural oils and vitamin E to keep your lips soft and hydrated all day long. I will warn you that the glitter can be a little stubborn, so you'll need a good makeup remover. 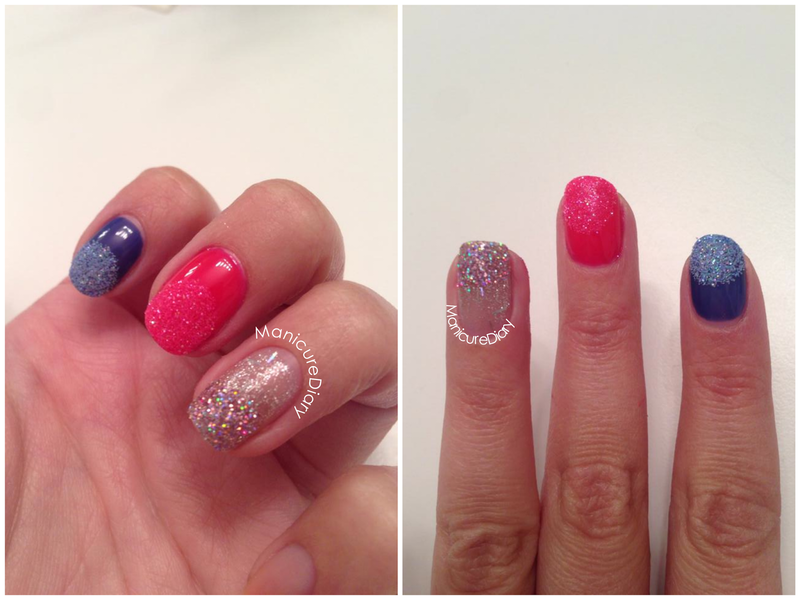 Last but certainly not least is the Rock Me Nail Kit, obviously what I was most excited to try! This kit features neon UV-reactive nail polish and UV-reactive glitter nail toppings that add even more glam to your mani. Your nails will light up day and night. For a more subtle accent you can sprinkle the glitter over wet polish, or you can dip your entire nail in for a ton of sparkle. 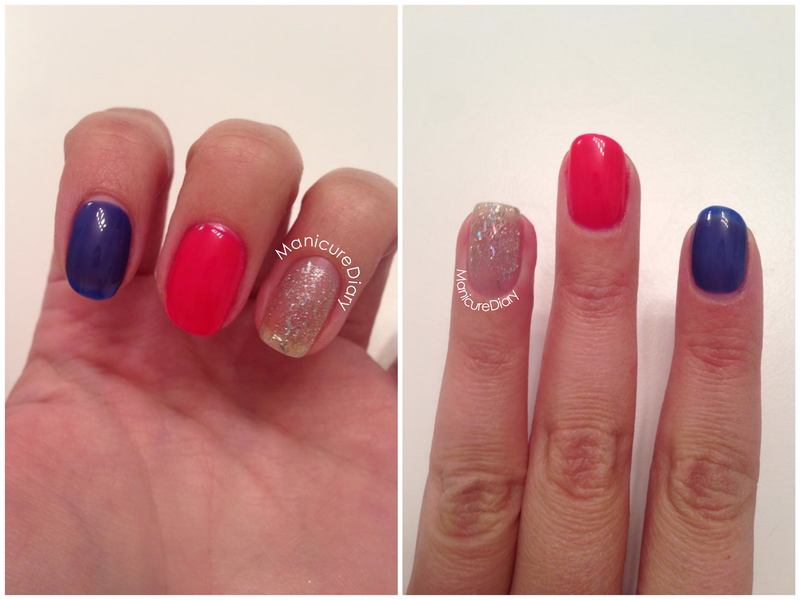 Three coats of each, no glitter. 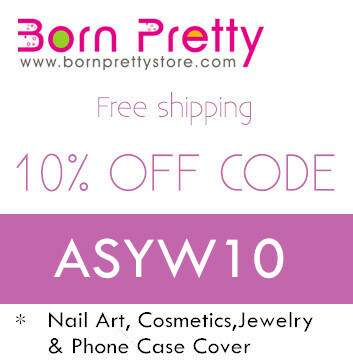 Macy's, Dillards, Boscov's, Stage Stores, Beauty Brands, Lord & Taylor. 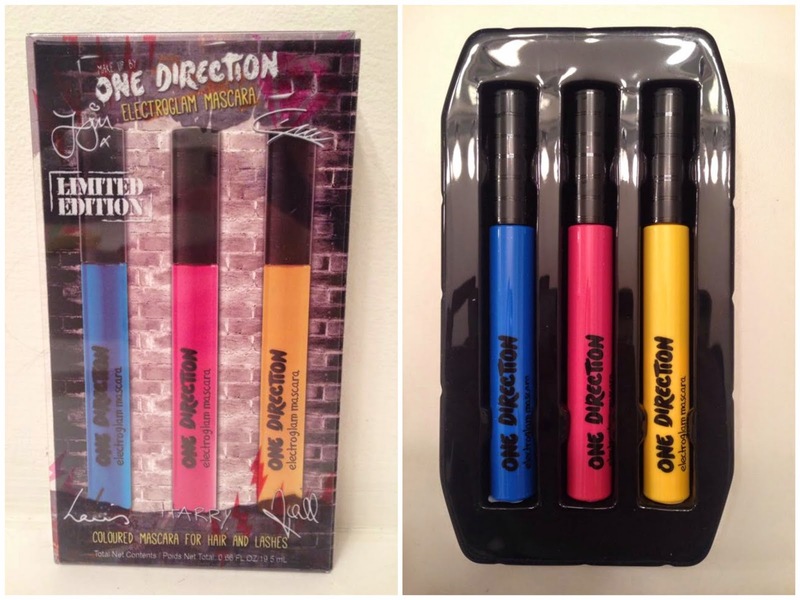 Overall I thought these were really fun products that would appeal to younger girls. Or 23 year olds like myself! You can find more information about Makeup by One Direction at https://www.facebook.com/MakeupbyOneDirection. Disclaimer: This post was powered by BrandBacker. I received this product for free from Markwins in exchange for my honest review.